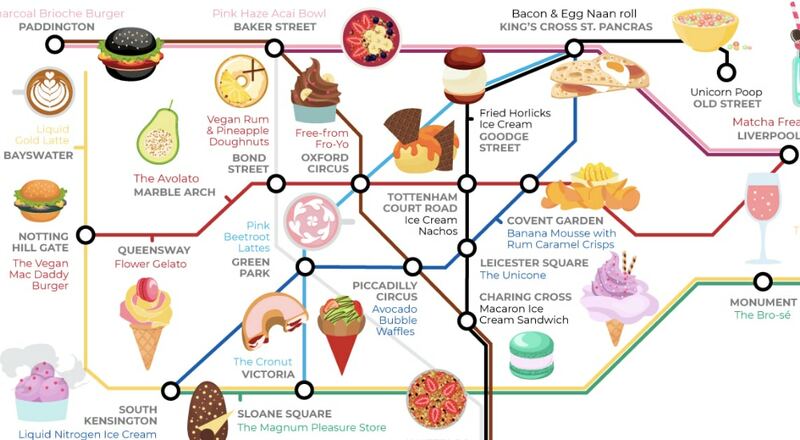 London is a goldmine for bizarre food trends, and this map doubles up as both a map and a bucket list. 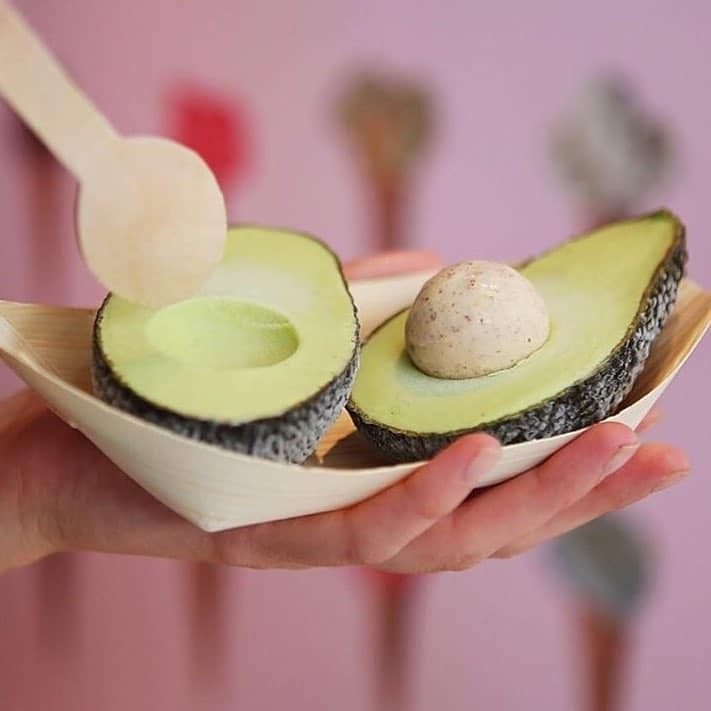 This crazy creation is made with avocado ice cream and a peanut butter ice cream stone, all made to replicate an actual avocado and served in a real avocado skin. (We made a video about it, which you can watch here.) 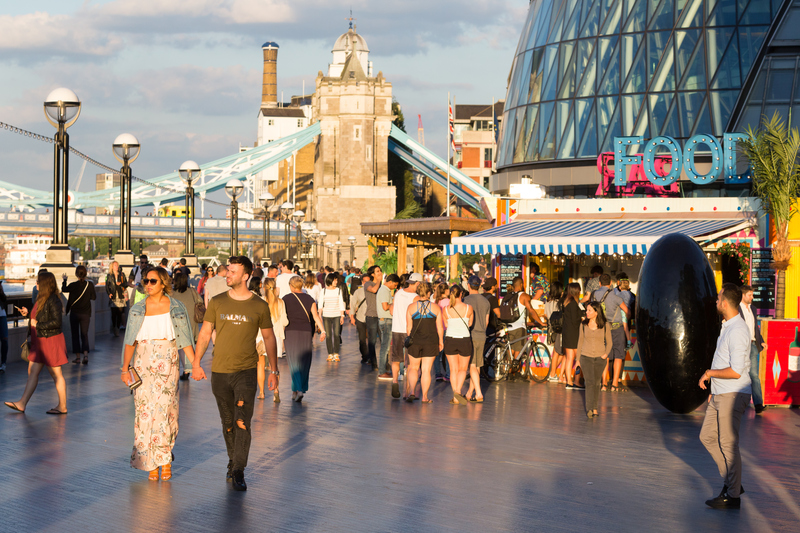 You’ll find it at Snowflake, Selfridges Foodhall, 400 Oxford Street, Marylebone, W1A 1AB. 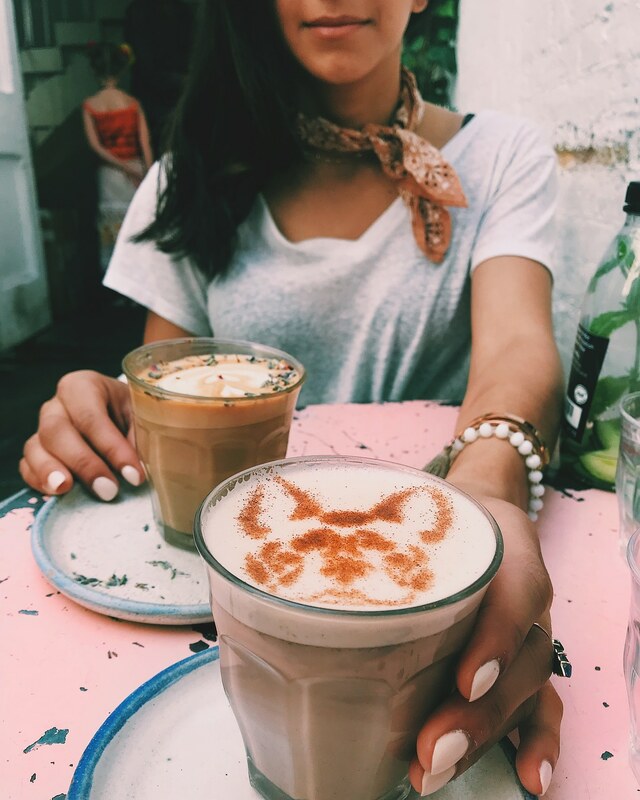 It sounds a lot more regal and expensive than it is, because in reality it’s just a turmeric latte with coconut milk and a cute little Frenchie on the top. Nevertheless, it is still absolute vital that you go and purchase one. Head to Farm Girl at 59A Portobello Road, W11 3DB. 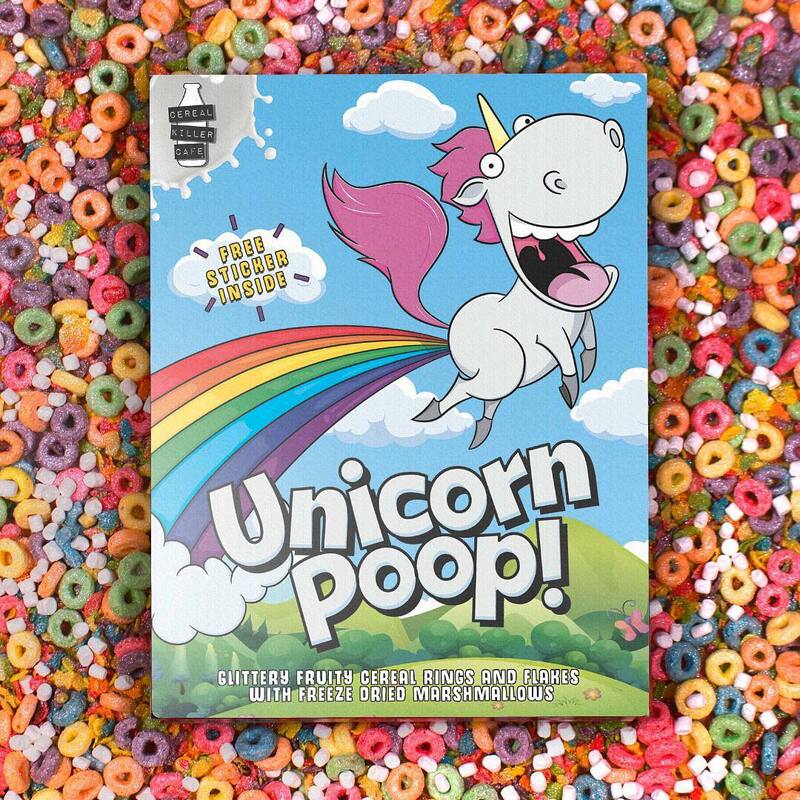 “Glittery fruity cereal rings and flakes with freeze dried marshmallows”. Glittery cereal? Named after excrement? I’m not sure if I’m excited or repulsed. (Okay, I’ve thought about it and I’m definitely repulsed.) Anyway, you’ll find it at Cereal Killer Café, 192a Brick Lane, E1 6SA. Ice cream nachos are one of those things that nobody asked for but, actually, you don’t know what you’d do without them. 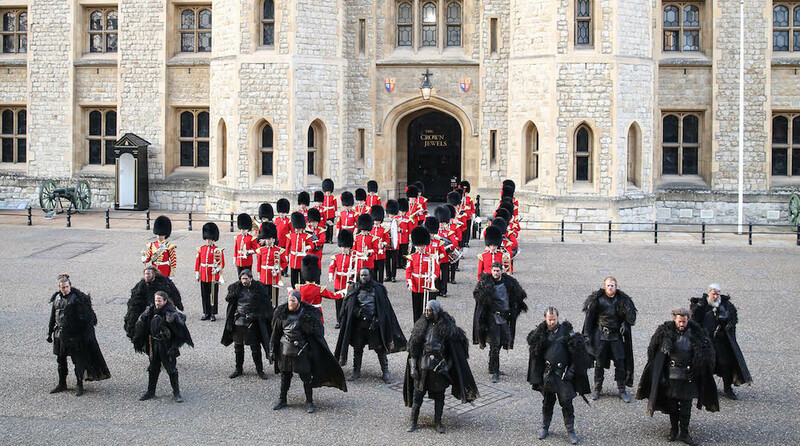 Okay, that’s BS, but they’re still pretty cool. 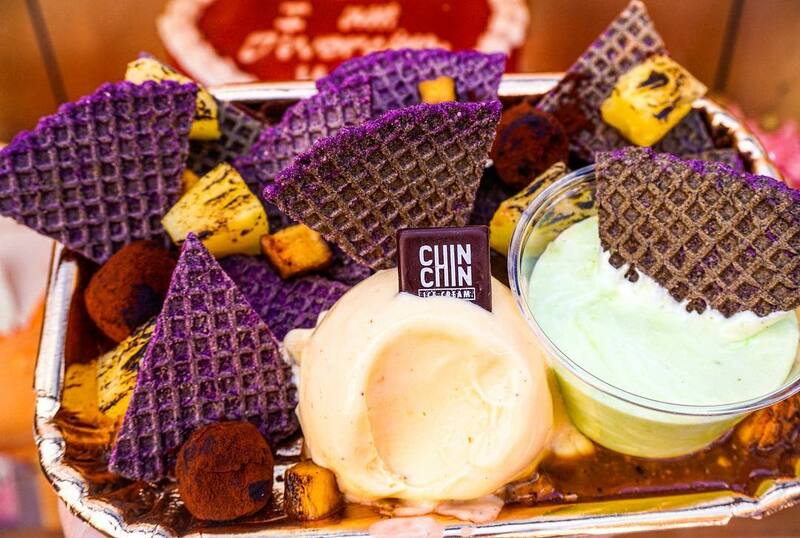 Choose your ice cream flavour and your sauce, and they’ll come with chocolate mole truffles, chargrilled pineapple and blue corn tortilla waffle chips. 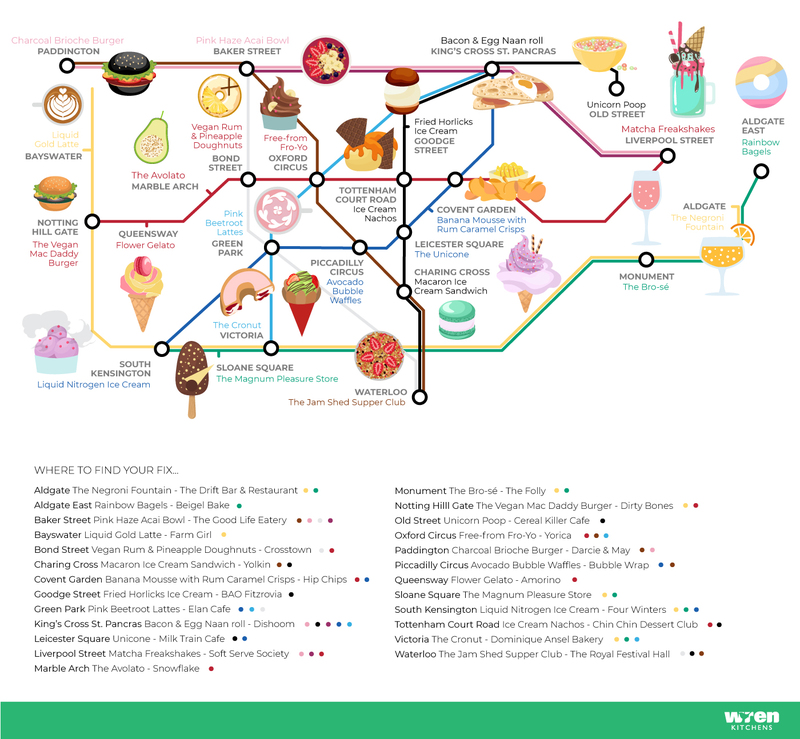 You’ll find the nachos at Chin Chin Dessert Club, 54 Greek Street, Soho, W1D 3DS. 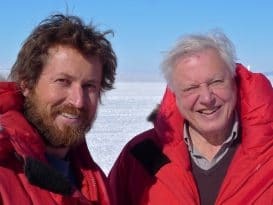 Bao down to the real heroes amongst this list. 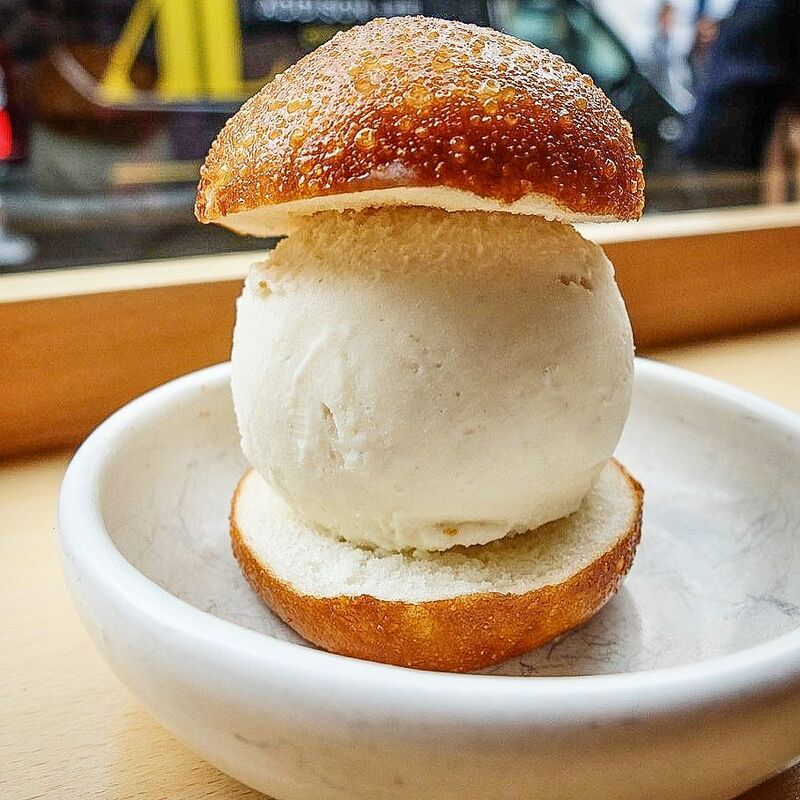 BAO‘s fried bao filled with Horlicks ice-cream is an true winner. 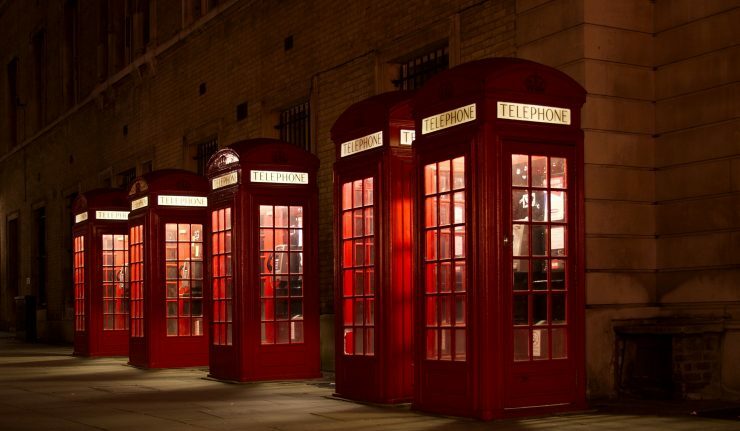 Find it at 31 Windmill Street, Fitzrovia, W1T 2JN. Possibly the most instagrammable place in the whole of London, this perfectly pink café doesn’t stop at the interiors. 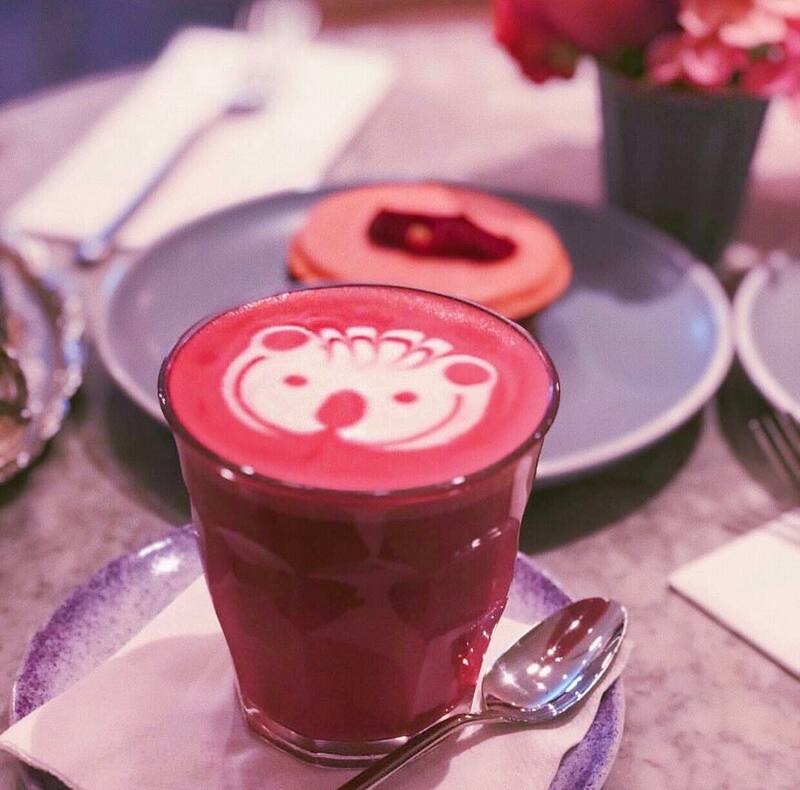 Get your hands on a beetroot latte with a cute little bear face on it, just because. 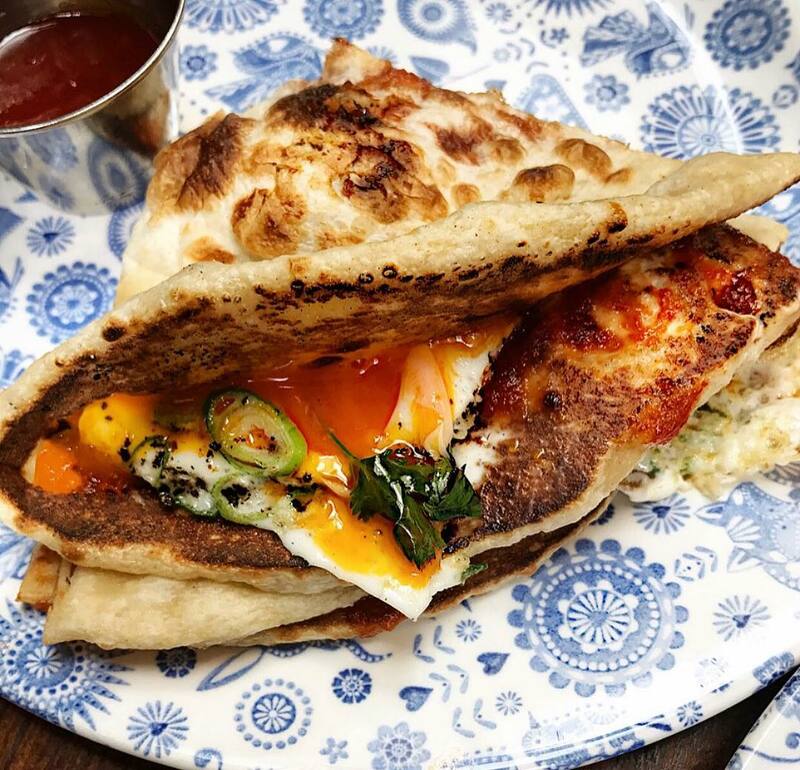 Head to Élan Cafe, 48 Park Lane, W1K 1PR (or their other branch on Brompton Road). Every now and then, a dessert comes along which changes the game. 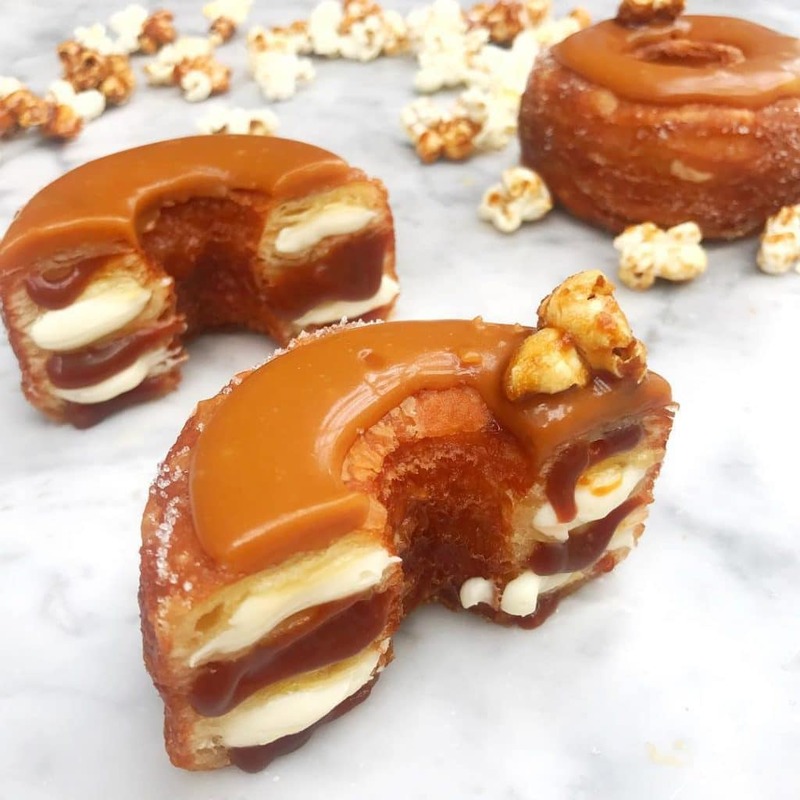 The Cronut, the madcap invention of pastry whizz Dominique Ansel, did exactly that when it arrived in London a few years ago. Part croissant, part doughnut, very sugary, much delicious. Find it at Dominique Ansel Bakery, 17-21 Elizabeth St, Belgravia, SW1W 9RP. 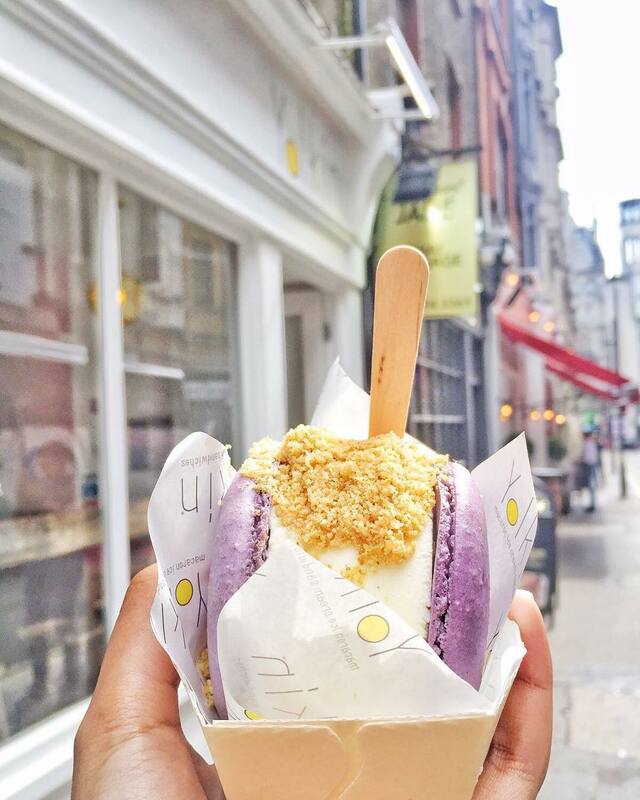 I’m not really a dessert person, but macaron ice cream sandwiches could potentially lure me over to the dark side. Take a look at this blueberry cheesecake one, for example. Who could say no to that?! You’ll find this dream at Yolkin, 24 Rupert St, W1D 6DQ.